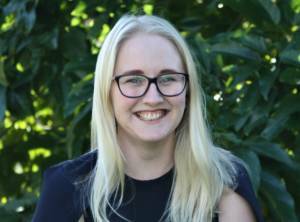 Courtney’s qualifications coupled with her industry experience enables her to bring a wealth of knowledge to the Fairway team as she works as a Financial Adviser alongside Neil and Glenn. Having worked in the financial services industry since 2011, Courtney’s strong customer service ethos and product knowledge has supported her evolution to an adviser, gaining a reputation for quality advice with genuine care for her clients. In conversations with Courtney you will undoubtedly realise she has a passion for cashflow and budgeting advice, with first hand experience as the “budgeting queen” of her house. In her personal time Courtney and her partner are busy renovating their house, travelling as much as the budget allows and walking their beautiful Shepard. Whilst she has been specialising in Personal and Business Insurance solutions, Courtney is also is accredited in pre and post Retirement Planning and Investment Strategies including superannuation and managed investments.